Purchase the October 30th, 2018 issue of Woman's World to read Author Carol Gee's story in the Goodness section. Read my latest article as I share tips for Retirement Savings. Learn more tips I share on how to save both time and money, in my book, Gilded Pearls (Vibrant Thoughts, Tips And Tidbits For A Full Life)." 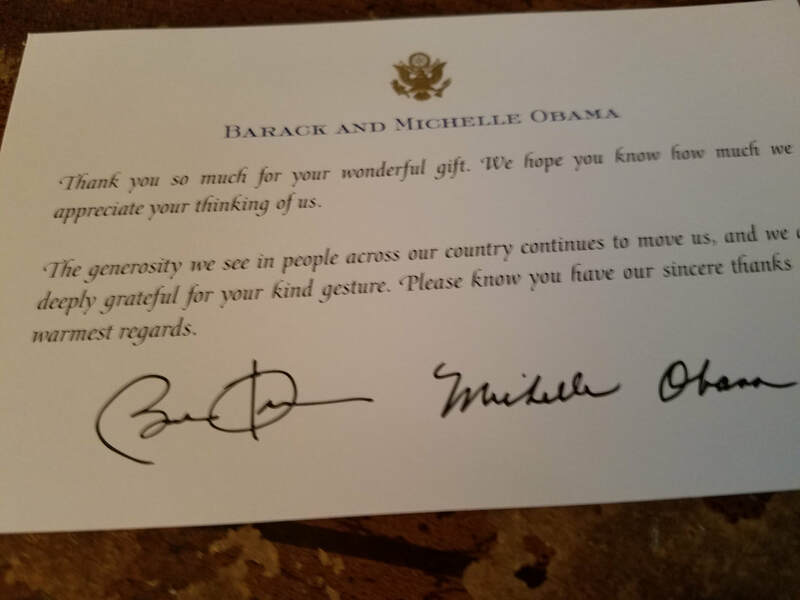 Guess who just received a Thank You Letter from Barack & Michelle Obama? Yes, Author Carol Gee! Make sure you scroll down below and purchase the books she gifted them. 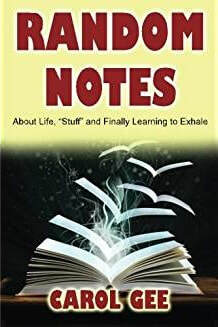 You can also purchase Random Notes in audio (please see below). If men are from Mars and women are from Venus, Carol Gee's hilarious handbook chronicles a galaxy of issues in a tone that is decidedly down to earth. A to Z of women's lives. Growing up I would have given anything to be one of the "fly girls" (cool girls) in my class. While they wore the latest styles, I wore boring outfits with knee socks and oxfords. If your mother ever made you wear your Home Economics project -- a purple gingham skirt with rickrack trim -- to school, Diary of a "FlyGirl" Wannabe is the book for you. If your false eyelash ever came off at a party, landed on your cheek and stayed there, or if you have sometimes felt like a fish out of water, this book is for you. "Will Pole Dancing Cure my 'Bad Girl' Itch?" "While I May Not Be Able to Find My Way Out of a Paper Bag, I Can Make a Mean Pound Cake"
"Now that I've Gotten My Mind Together, The Rest of Me Is Falling Apart"
Random Notes is a laugh-out-loud, fun book. Growing up, nothing was ever wasted in our house, everything was reused, repurposed or recycled. Leftover Bologna? Add a few spices and you have Bologna casserole. Okay, just kidding, but you get the idea. Not only does this book include tips for recycling, but also shares affirmations and words of wisdom for every day life. Copyright © 2017, Author Carol Gee. ALL RIGHTS RESERVED.